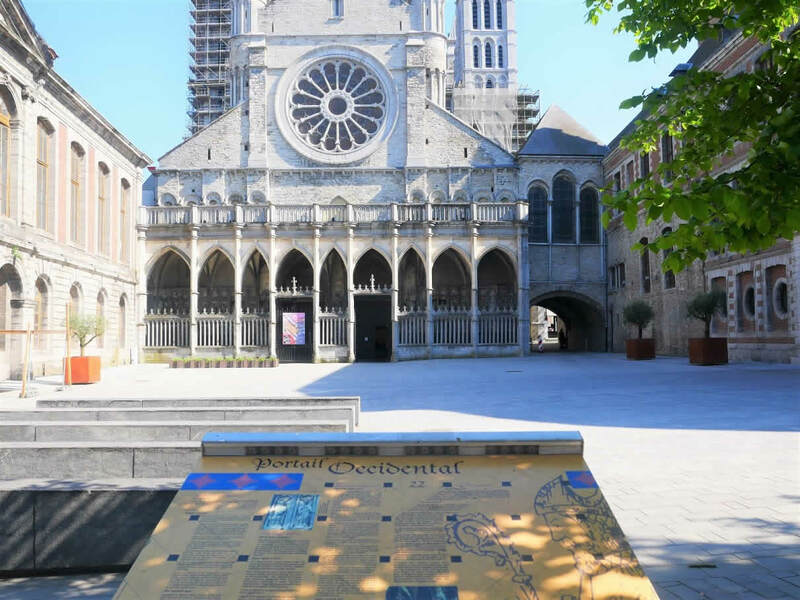 Tournai is a lovely weekend destination for anyone interested in culture and history. 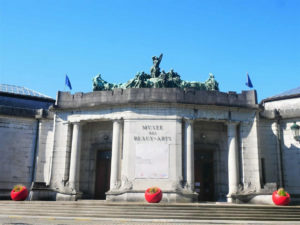 However, it’s also a great place for enjoying in a wonderful Belgian cuisine. 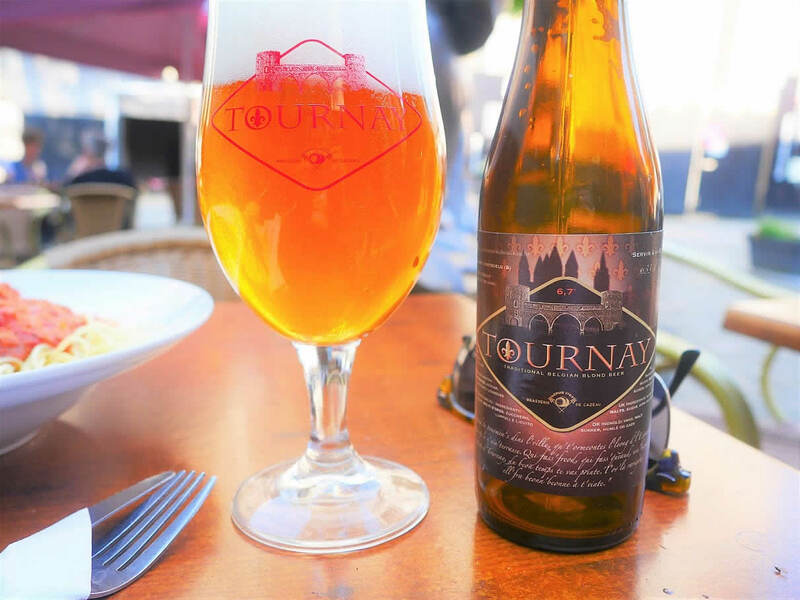 Easily reachable from London, Bruxelles or Amsterdam, here is a ‘Tournai – ultimate travel guide’ with everything you need to know about this beautiful town. 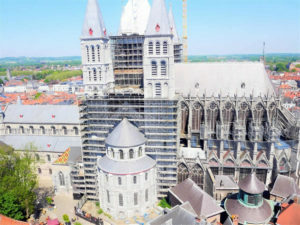 Tournai is a city with more then 2000 years of history. 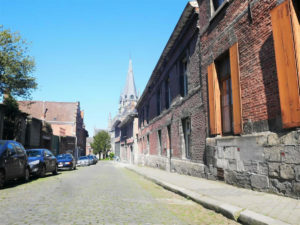 It’s one of the oldest cities in Belgium. And it’s the birthplace of France. It was ruled by many different rulers from France, Spain, the Netherlands and even Austria. And all of them left their mark there. 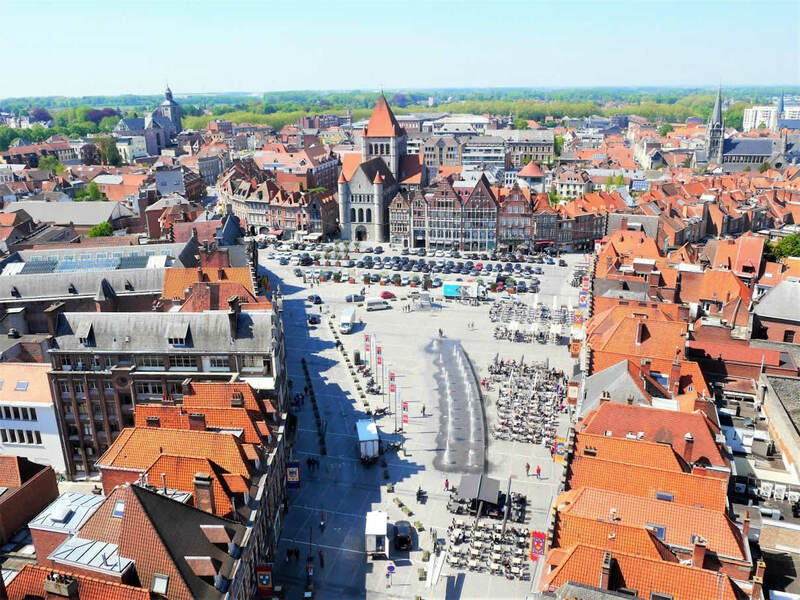 It’s the only Belgian town that was ruled by England during the Henry VIII’s time. The city experienced its Golden Ages during the 14th and 15th Century. But, from the 17th Century onwards it’s loosing its significance and it’s slowly starting to decline. The city was heavily bombed during the Second World War. However, it was rebuilt after it and today it’s glorious Golden Ages could be seen on its every corner. 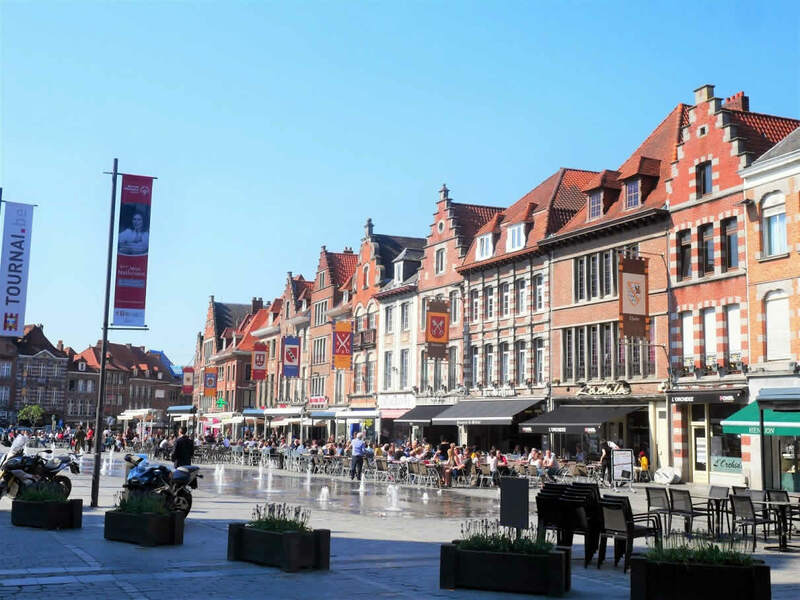 Tournai is only 15 minutes away from the Lille train station. So, it’s easy to come from London, Bruxelles or even Amsterdam. I travelled with a train from Bruxelles and it took me around 45 minutes to get there. Hotel Cathedrale – This is without a doubt, hotel with the best location in Tournai. It’s located only a few steps away from the city’s cathedral. Although, you shouldn’t expect a 5 stars accommodation, its location is really paying up for it. I stayed in it and it was so easy to walk wherever I wanted from it. Hotel Floreal Le Panoramique – If you are planning to come with a car, then this hotel is place to go. Located just a few kilometres outside the city centre, it’s a wonderful place located in a countryside, with a view on a forest and the city itself. It’s also a great place to go with kids, because they have a huge playground in front of it. And their restaurant was amazing. Ahh, Belgian food… I could go to Belgium just to enjoy in its food, beers and chocolates. 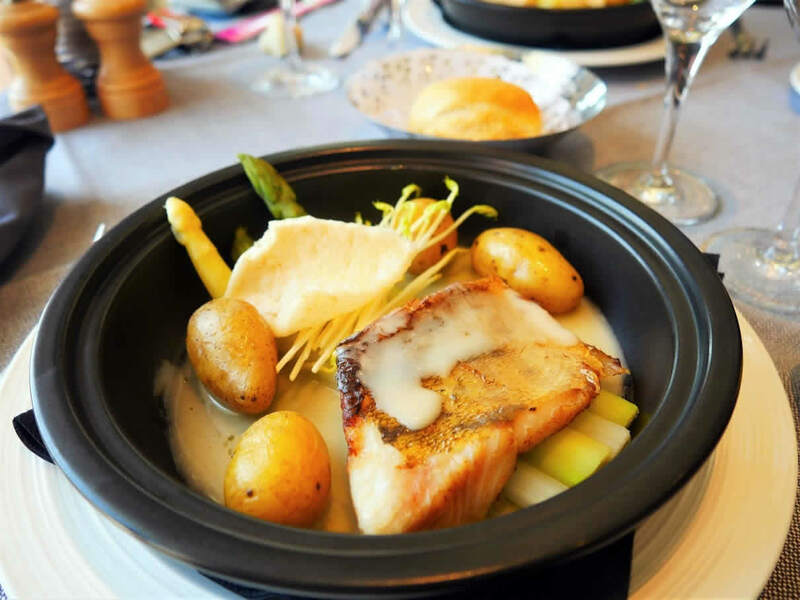 Tournai has a really great foodie scene and there are numerous restaurants where you can get a great meal. I tried a local beer called ‘Tournai’ and loved it so much that I took some home with me. *TIP: One of my favourite restaurants in Tournai was L’Ecurie d’Ennetières. A cute little restaurant located in the old medieval house which used to be a stable and than it change its purpose a few times during the history. While there, you can also see a piece of a local tradition – the Giants. The processions of them are quite a popular folklore tradition in Belgium (also recognized as an important part of a World’s cultural heritage by UNESCO). And the food there was awesome! 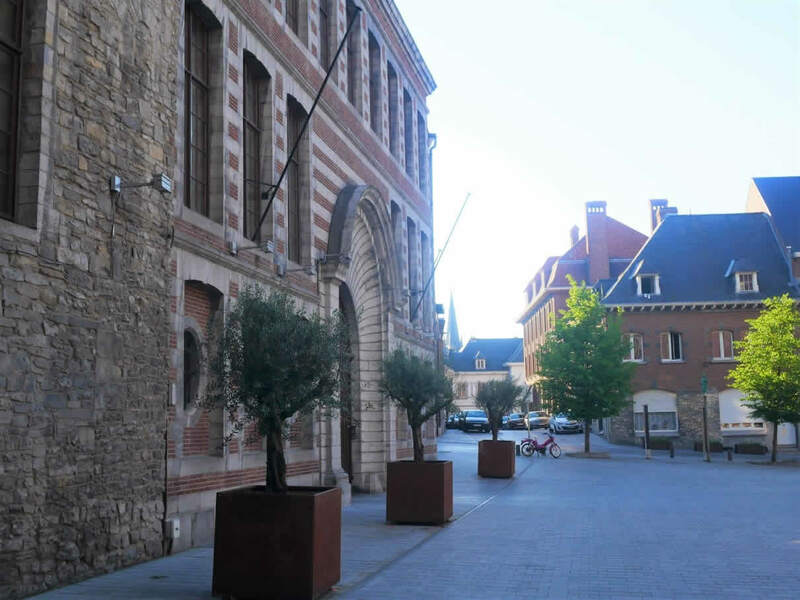 Tournai’s tourist office is a great starting point of your trip. You can watch two 20 minutes long movies there. One about the history of the city and the other one about the way the cathedral was built. 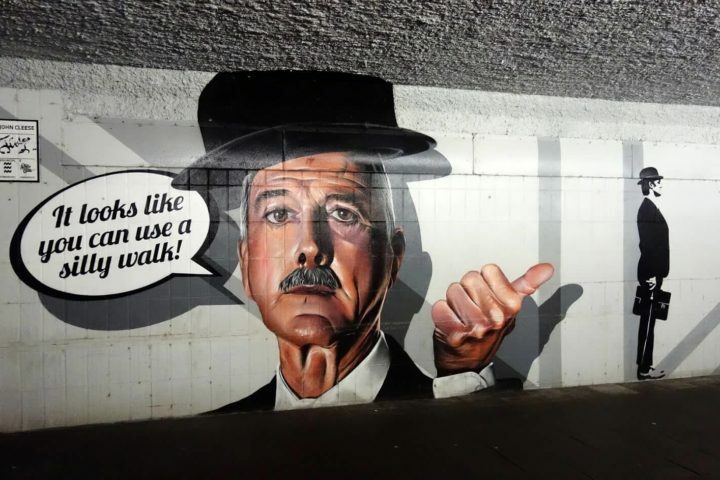 Both movies are fun and informative and a great introduction to the city. *TIP: You’ll find a brochures about the city in a different languages there, as well. 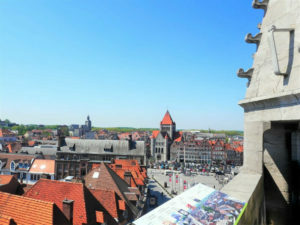 In them, you’ll find the maps with the self-guided tours which will lead you all around the city. I followed one of them and it was a great way to learn more about some of the sights there. 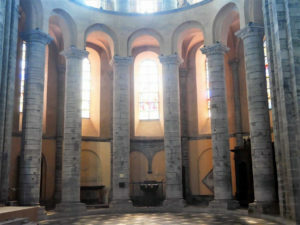 Just across the street from the tourist office a beautiful medieval cathedral is located. It’s very famous for its five towers, that gives it almost a royal appearance. 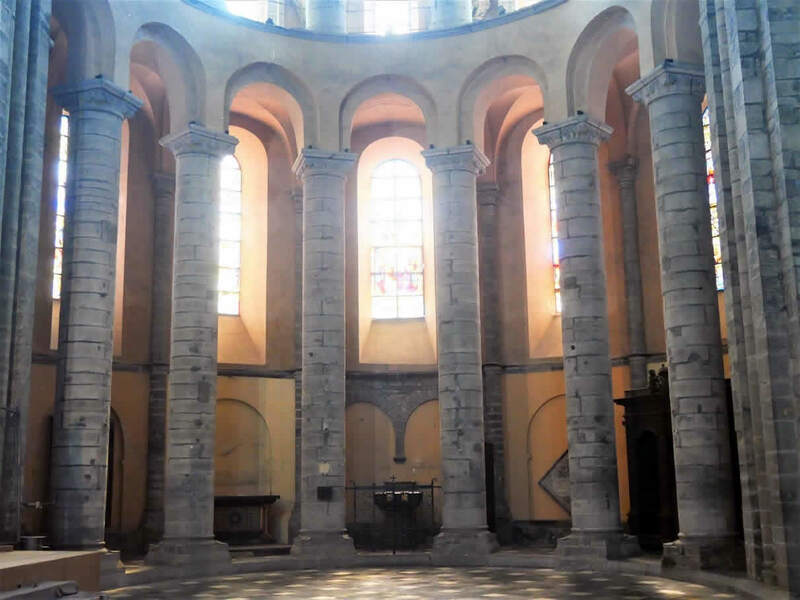 Majority of today’s building was built in a Romanesque and a Gothic style. You can almost cut the building in half and see different styles in it. A huge tornado hit the city in 1999 and it jeopardize the building’s stability. However, the restoration work started shortly after it and the majority of the building is still being renovated today. Cathedral’s Treasury is quite interesting, as well. 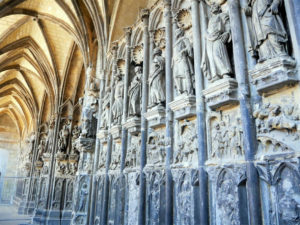 You can see some of the beautiful tapestries there (Tournai was very famous for its tapestry production in history). Medieval goldsmith work is also quiet stunning. But, the most interesting item there is Thomas Becket’s cloak. He stopped in Tournai on his way back to England just a few days before he was murdered in 1170. 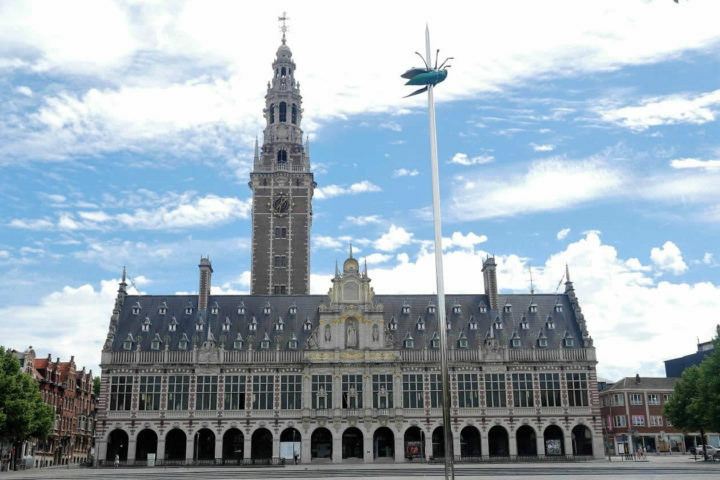 If the cathedral was the religious symbol of power, then its opponent and the civic symbol of power was the Belfry. 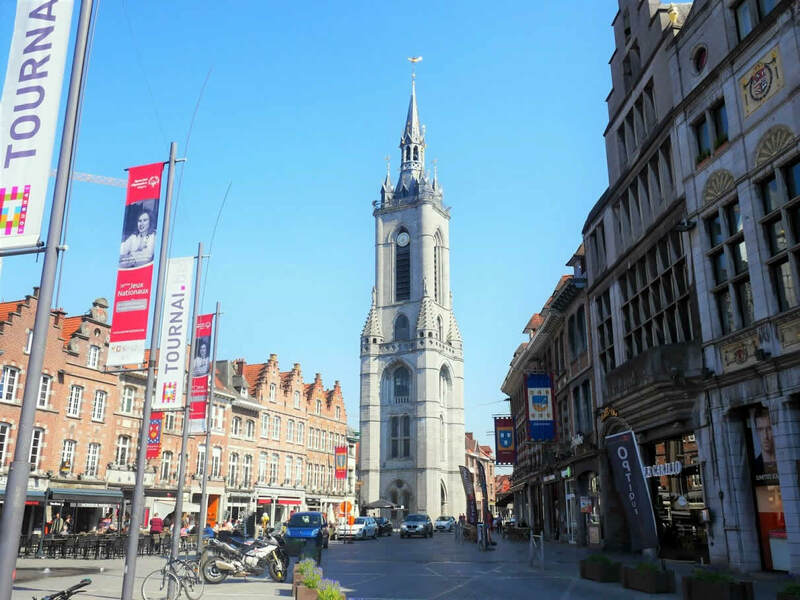 It’s the oldest belfry in Belgium, built in 1188. You can climb it and have a great view on the city. Once on it, you will see numerous churches and towers everywhere you’ll look. While climbing to the top you’ll see many smaller rooms, some of which were used as dungeons for city’s prisoners. The third symbol of Tournai is definitely Pont des Trous Bridge. Built in the late 13th Century it was completely destroyed during the Second World War. Rebuilt after it today is a wonderful reminder on some past times and the significance of the river traffic in Tournai. 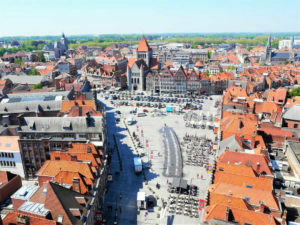 Tournai was under the British rule for a few years (1513 -1519) during the reign of the king Henry VIII of England. To strengthen his power he built a large tower in his new city. Located close to the train station, tower is currently being renovated. 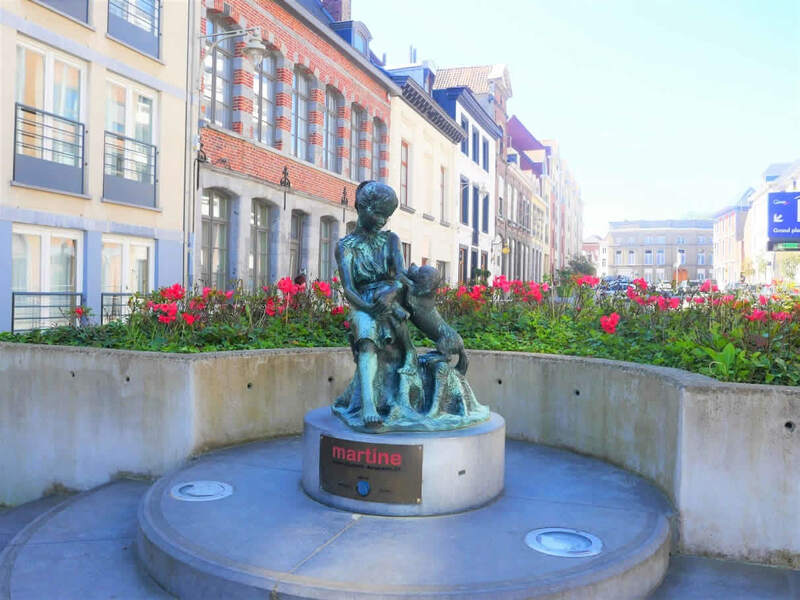 If you can feel the Middle Ages in the centre of Tournai, then in the parks around the city hall you can feel Baroque and Classicism very well. It’s a great place for a little break during the warm sunny day. In the middle of the park a statue of a famous Tournai’s painter Louis Gallait is. And the majority of the museums are in that area, too. 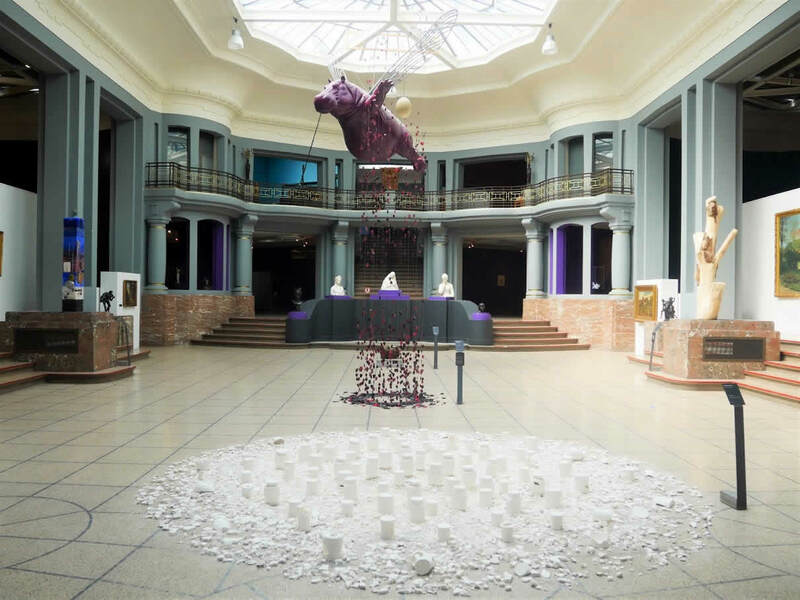 For such a small town, Tournai has some great museums. And my favourite was the Natural History Museum. It’s divided into the two parts. The first one in which you can see skeletons and stuffed animals. And then the second part, where museum is taking care of some live endangered animals from the Red List of threatened species. It’s a wonderful place to learn about the animal world. 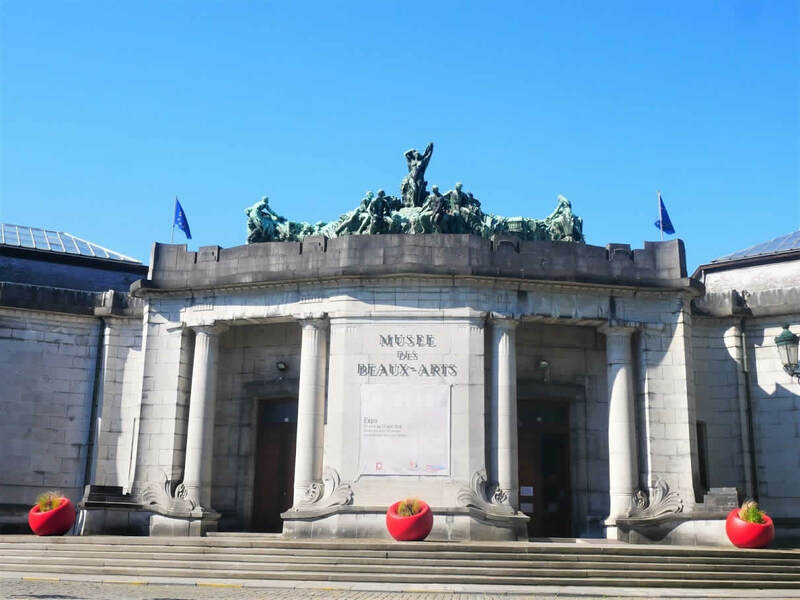 Next to it is a Museum of Fine Art, the only museum in the world designed by a famous Belgian architect Victor Horta. The only two paintings by Manet in Belgium are there, too. However, it was quite interesting for me to see some local Tournai’s painters there, as well. Like Louis Gallait and Rogier van der Weyden. The central square of the city is the Market Square. Place with many cafes and restaurants. Some of the interesting historical buildings are there, too. Like the Saint-Quentin Church and the old Cloth Hall. There is a market organised there on Saturdays. 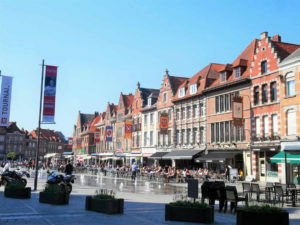 Tournai was an important pilgrimage town on a way to Santiago de Compostela. 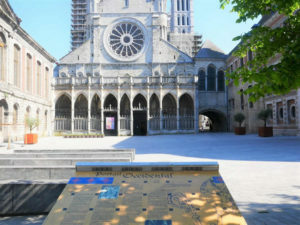 That’s why you’ll still see many bronze shells on its streets marking the way to the pilgrimage church of Saint Jacques. It’s a stone medieval church with a dramatic dark interior. 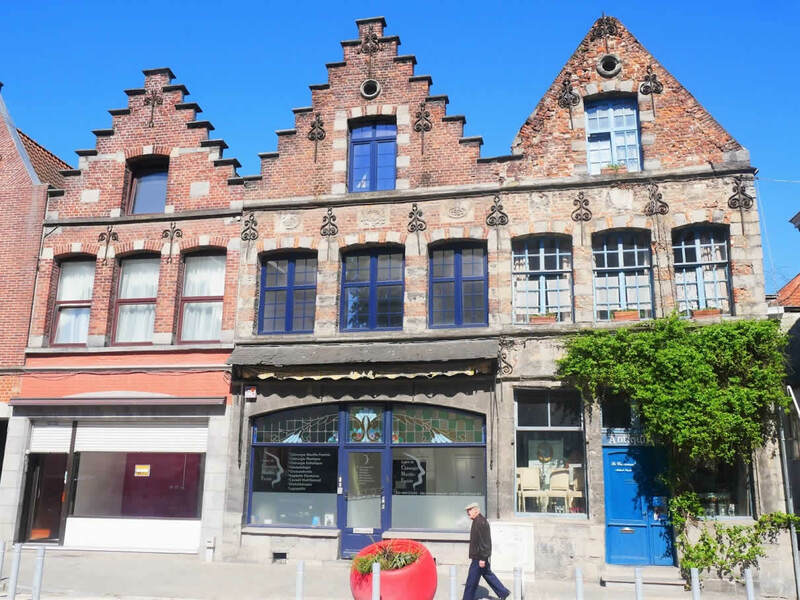 Definitely a place worth visiting while in Tournai. Belgium is famous for its comic books scene. 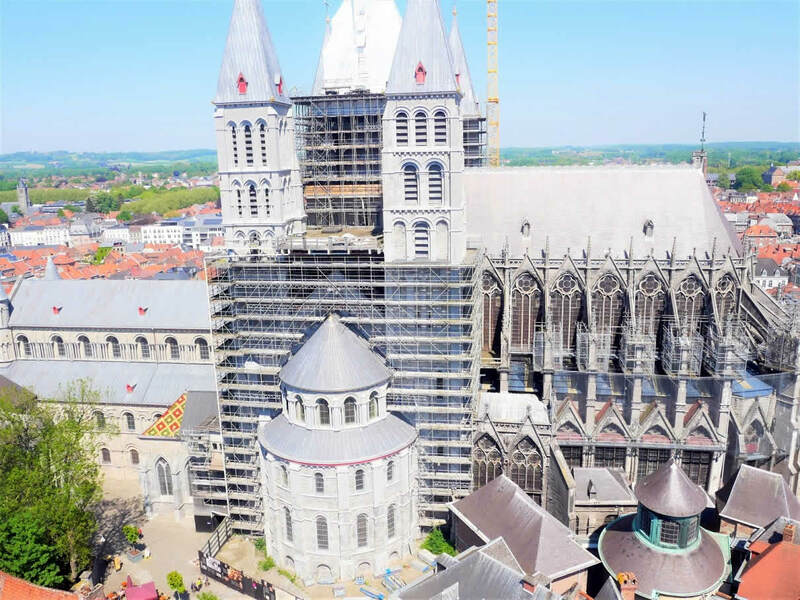 And one of its very popular ones was created in Tournai. 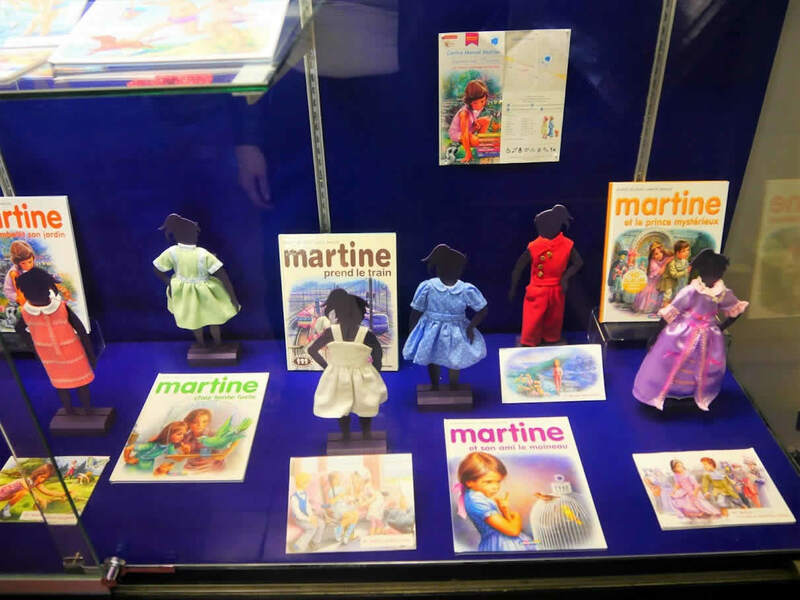 That’s why you’ll find many of its editions in a Folklore Museum in Tournai. But, you can also find a statue of its main character in one of its streets. I always like to explore everyday life of a cities when travelling. So, I’m trying to look for that areas in which locals are meeting. In Tournai it’s definitely a bank of the River Scheldt. It was recently renewed and it’s a great place for an afternoon walk. There are many wooden benches next to it and you’ll see many people sitting and chatting there. The best souvenirs from Belgium in my opinion should always be edible. Chocolates and beers being my favourite. 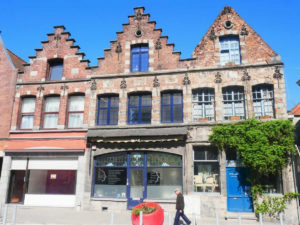 If you would like to get something more permanent, you can find many books and souvenirs in Tournai’s Tourist office. *TIP: Le Moine Austère (address: Rue Dorez 8) is a place to go to get some from a wide range of Belgian beers. Tournai is a French-speaking Walloon town. So, practice a few words of French before getting there. 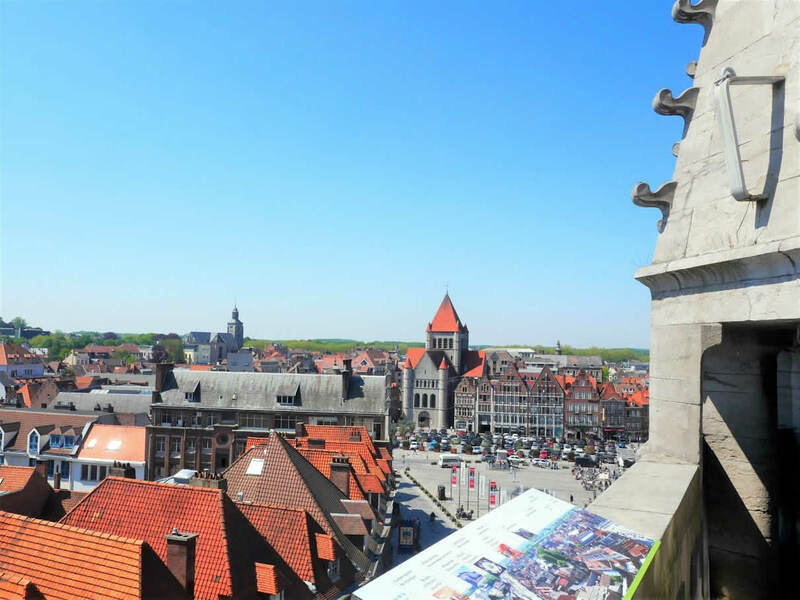 Check out some of the City Passes from the Tourist office if you’re planning to visit more of the sights in Tournai. 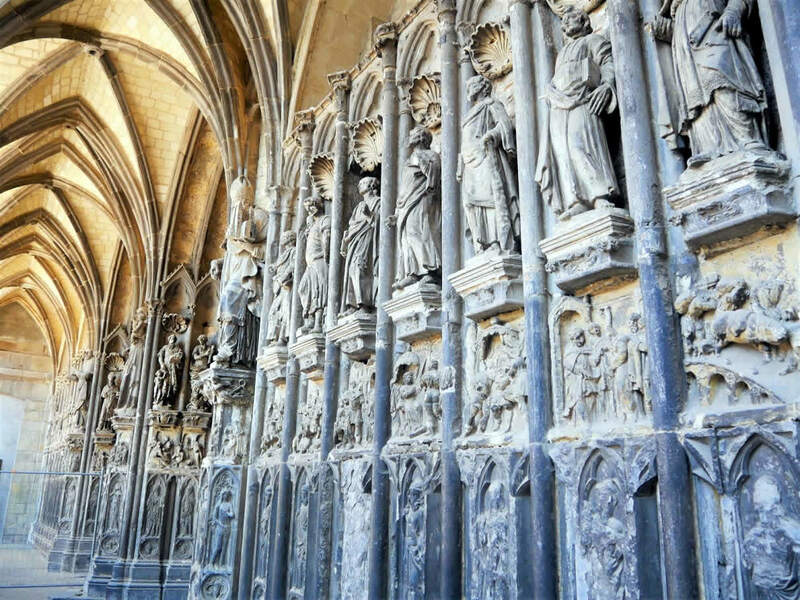 Being one of the best kept secrets in Belgium, Tournai is definitely a place to visit now. With its stunning architecture, interesting history and a wonderful cuisine, it will be getting just more and more popular among the visitors in a future. 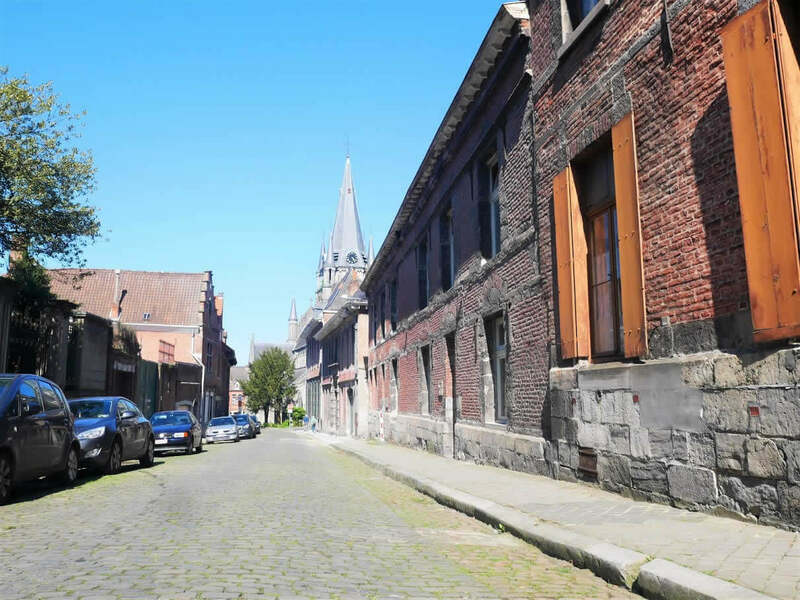 So, why not planning your next weekend break in Tournai? *My trip to Tournai was organised by the city’s tourist office – Visit Tournai. I was a guest of both them and the Hotel Cathedrale during my weekend there. Many thanks to both of them for a wonderful time I had in Tournai and organising everything for me!